meticulously ﬁnished, revealing strong modernist inﬂuences and a hint of the industrial. Prueʼs early experiences with ceramics led to Harrow School of Art in UK, after which she began her practice and was based for the next 14 years before returning to Australia where she has long been a significant inﬂuence on Australian ceramics. 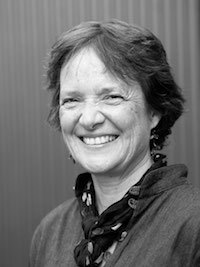 She has held positions as head of ceramics at RMIT University, Melbourne and ceramics workshop manager at JamFactory Craft and Design Centre, Adelaide. She exhibits widely nationally and internationally. 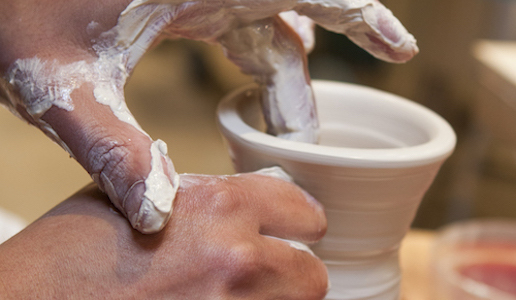 Prue offers regular workshops at Slow Clay Centre, stay tuned for more via our newsletter.